Clean shishito peppers under running water. After cleaning, trim off the stems and cut into bite sizes. Blanch shishito peppers for 2-3 mins. Drain and set aside. 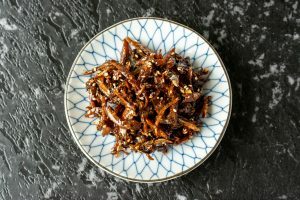 Turn off heat and transfer anchovies to a plate. Add some oil to the wok and once heated, stir in the sauce mixture and simmer for about 3-4 mins or until it bubbles and slightly thickens. Add the shishito peppers and stir fry for another minute. Turn off heat. Add anchovies and toasted sesame seeds and stir through. 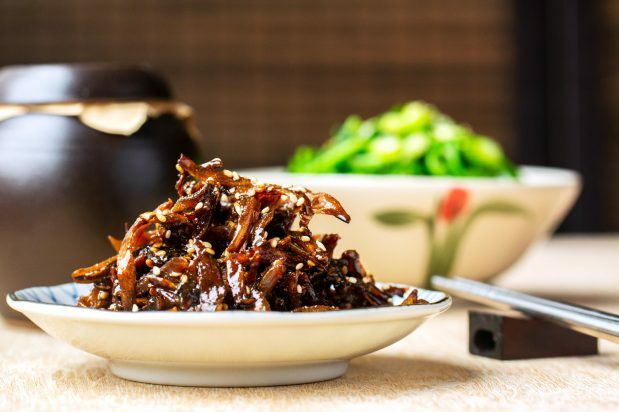 Serve as a side dish with other banchan.